When it comes to IDD Therapy Disc Treatment, it’s about relieving pain of course, but the main aim of the programme is to restore functional movement. You might be interested to see something very few clinics do. This is my back and you might be thinking, yes, sensors. 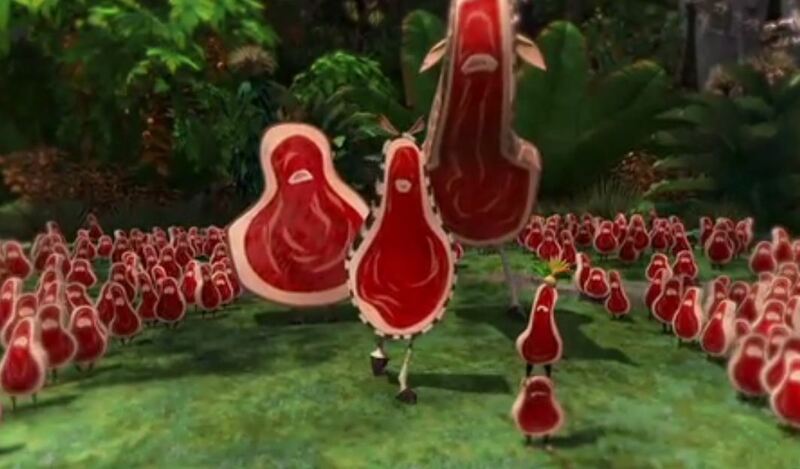 But unless you have seen these, trust me, you do not know what they do. These are wireless movement sensors with EMG and I’ll tell you why they are super cool. 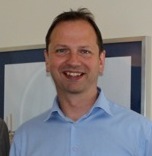 As co-owner of Spinex Disc Clinic in London our main focus is to help disc patients who need more than manual therapy and who do not want or are not candidates for surgery. We use IDD Therapy programmes extensively. We introduced the gyroscopic sensors because they allow us to measure and record movements and function as well as capture objective data. A simple thing we do is to measure flexion, extension and side bending and we get a graphic and measurement to the nearest degree. This helps us with the evaluation and it helps the patient see their problem. That is stage 1. 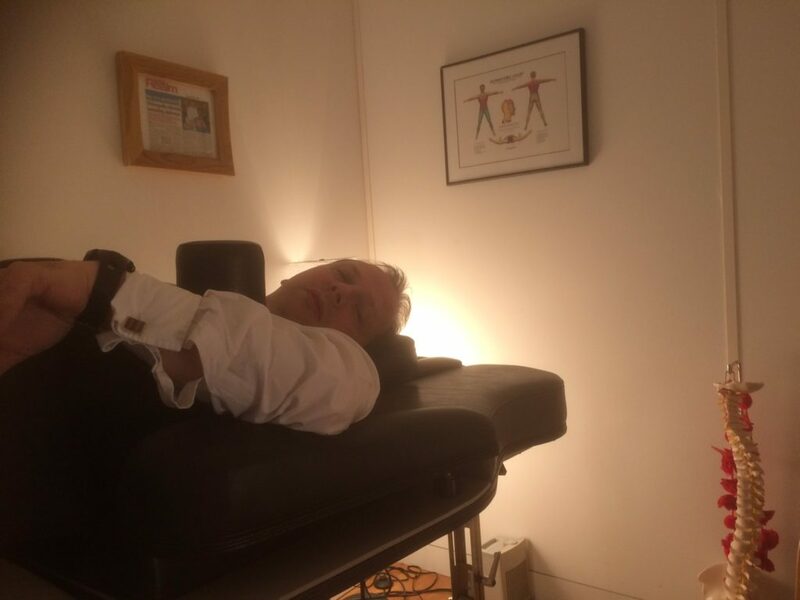 Thus, in order to prove our treatments beyond VAS and Oswestry, we can measure before during and after IDD Therapy to demonstrate change in movement – to the nearest degree. Ok, but this is basic stuff. Next step is functional movement. We are expanding this with all our patients because we can put patients through a set of standard functional movements and show them precisely where they have asymmetries and dysfunction. At the same time, the EMG lets us look at muscle firing activity – which with chronic back pain tends to be dysfunctional. Thus the patient can really see hard data to support their condition AND this helps them understand our programmes and goals. Stage 2 is treatment with IDD Therapy and rehab. My view is that academics love measurements, but the key issue is they don’t have the tools to bring about the changes we want to measure. This is what gets patients (and us!) excited. Thus we are going to be doing functional movement assessments before, during and after the IDD Therapy programme using the system. I know there are people who say we don’t need machines and gizmos. Fair enough. But if you are reading this on a smartphone, you will hopefully not be immune to a little irony 🙂 It’s all about the right tool for the right job. Interestingly when I asked our team to look at the sensors, they were reticent at first but they have embraced it because they see what it can do for the patients in the programme and how it helps them as clinicians. 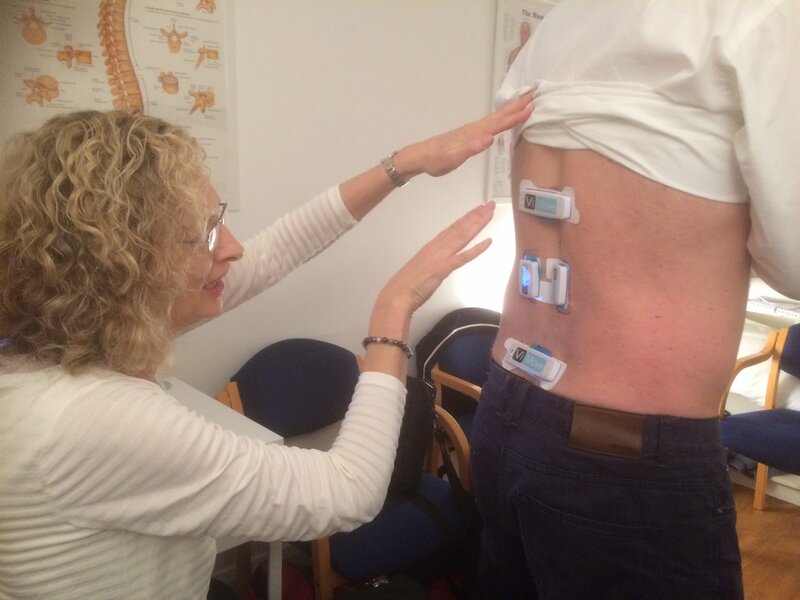 Spinex was the first IDD Therapy clinic to adopt this and the first osteopathy clinic in the UK with the technology. Four other IDD Therapy providers are now using these wireless, gyroscopic movement sensors with the IDD Therapy. My job is to standardise the way they do it so we can collate meaningful data across the IDD Therapy Disc Clinic network. In the meantime, we just crack on and help the patients! I look for the positives, at the same time, I expect we will also get patterns of when IDD isn’t bringing about change. That will help patient selection and manage expectations about when to expect changes. During a training last week, we were looking at the elements I describe here and I asked, has anyone used these DURING the IDD Therapy? Er, no. So, me being me I got rigged up and went on the IDD Therapy machine. The results were really interesting. The muscles were not firing during decompression which was great and the sensors picked up the oscillation and the cyclic extension flexion, ranging from between 2 and 3 degrees. When you get close to IDD Therapy, you will appreciate the significance of that. Of course, you don’t need to measure during treatment, that’s my job, it just shows the effect of the treatment. Some other things we do with the sensors – we have patients wear them for 24 hours “24 hour monitoring”. The data shows us their entire movements, from how long they sit, whether they are in good posture of slumped, how much activity they do. We can show patients precisely how their daily lifestyle is often squashing the life out of their discs! And when they see the data, they are more likely to make changes. We did this experiment off the cuff so it is a bit raw, but, nobody else is doing this. Hopefully by the time of the third IDD Therapy Provider Conference this year, we will have things nailed down for roll out. I recorded some videos and will post in due course. I hope this is food for thought, we are changing conservative spine care. Is Entrepreneurship Compatible With Healthcare? Money is a tricky subject in healthcare. The moment money comes into any discussion the spectre of “conflict of interest” immediately casts its shadow and raises ugly suspicions. Anyone in business is, by definition, an entrepreneur. That includes all private clinicians where income is a function of the volume and type of care provided. Of all the clinicians I know, I can’t think of any who went into healthcare to “make money”. It’s not what the healthcare profession is about. One clinician I know describes himself as an “accidental entrepreneur” and that is a wholly accurate title for most clinicians. Or for others it might be more a case of “reluctant entrepreneur”! The moment a clinician leaves the NHS and works privately (not applicable for many who go directly to private practice), they are in the healthcare business. A sole practitioner working from their spare room is an “entrepreneur”. When we think of entrepreneur, I suspect 99% of us think Richard Branson. 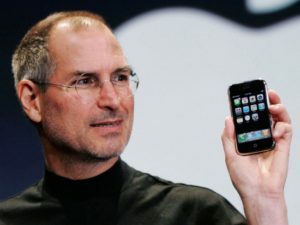 If we were asked to name another 10 entrepreneurs, in the UK we would probably reel off Alan Sugar, before moving to Dragons Den characters like Peter Jones, Deborah Meaden, Theo Paphitis or we might think abroad and think Steve Jobs and up until recently we might have allowed ourselves to say Donald T! So, are these well known people just megalomaniacs sitting stroking their white cat? Well, one might be but on the whole, not really. Whether we think of these iconic entrepreneurs or a local builder, printing company, solicitor or manual therapist, the most successful invariably just work really hard to meet the needs of their customer (better than the competition). That can be the best service, the best products, the ease of doing business with them (because they have an efficient operation), the nicest staff (well trained) and usually they are effective in letting people know about their services so they get to serve and help more people. Within healthcare, amongst some other factors, my observation is that the most successful clinics provide a better than average level of care (note – not always the best) where the focus is on providing the best service possible and experience for the patient. 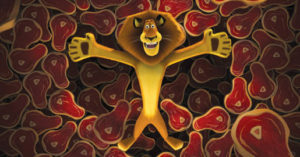 Of course there are some clinicians who, like Alex the Lion in the film Madagascar, view every patient as fresh meat or a walking £ sign, but I think that is the exception rather than the rule. A successful clinician might enjoy material rewards but I believe the material rewards are a function of how well you care for your patients and how many people you reach out to care for. We live in a capitalist society and therefore financial goals are a requirement for individuals, including clinicians, because our futures and retirement standard of living depend on it (unless we plan to go and live in the woods). Realising a financial goal requires a strategy and tactics to get there. But returning to the title, the two need not be mutually exclusive. Successful entrepreneurship requires providing the best possible product, service and experience to the customer, which will help achieve a given set of goals – personal or financial. So when it comes to healthcare, I believe it is compatible with entrepreneurship albeit that in practically all cases the two come together accidentally! And at the end of the day it’s not complicated; the patient must come first, always. 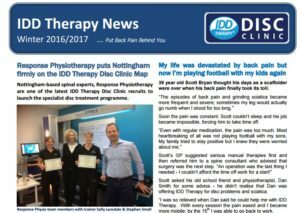 The winter 2016/17 IDD Therapy Disc Clinic Newsletter is now available. At Steadfast we have two websites; this one and www.iddtherapy.co.uk. The IDD Therapy website contains a blog with information for back pain sufferers and clinicians about IDD Therapy and the Disc Clinic network. The Steadfast blog was dormant for some time. With a new website the blog here is now live again and will provide information for clinics on subjects relating to clinics and clinic expansion.